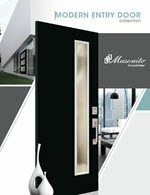 ?Masonite is one of the world's leading manufacturers of interior doors and entry door systems. Throughout the company's 80 year history, Masonite has maintained its focus on leading-edge innovation, manufacturing excellence and superior customer service. Masonite is committed to delivering product and service innovations that will enhance beauty, functionality and architectural design to its customers around the world. Builders, remodelers, architects and homeowners rely on Masonite products to create homes of distinction. Masonite is constantly at the forefront of door design, creating new and innovative products that add style and value to every home. Our products are designed and onstructed to exacting standards making them as durable as they are beautiful. From fiberglass to steel to composites, all of Masonite’s materials are carefully selected and engineered to ensure lasting performance that can stand the test of time. 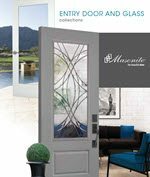 We are continually at the forefront of door design, offering an unparalleled selection of entry doors, both beautiful and durable. Get inspired to build your perfect door with our comprehensive door and glass collections. The beauty of natural wood blends seamlessly with the proven durability of fiberglass to create a door that redefines luxury. 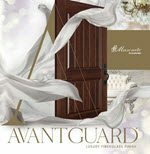 Masonite’s exclusive AvantGuard technology ensures a superior finish and unsurpassed performance.